Hrací karty "Saddam Hussein" s portréty nejhledanějších Sadámových stoupenců. Věrná kopie karet americké armády. 52 karet. 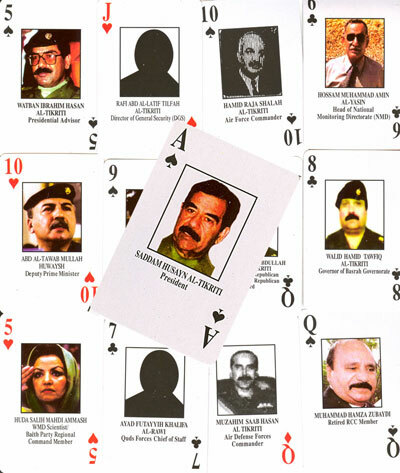 Playing cards "Saddam Hussein" with portraits of most wanted Saddam's administratives. True copy of US army playing cards accessories. 52 pcs.